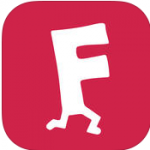 Apps4Review.com | Hop Hop Away – Challenging Game for Game Freaks! Hop Hop Away – Challenging Game for Game Freaks! 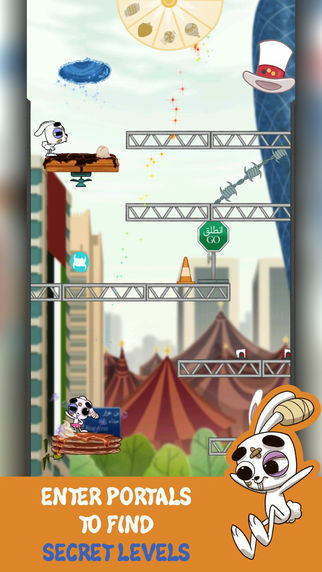 Hop Hop Away is a game developed by Hybrid Humans, which is a relatively new and young company. This game is designed for Android and iOS devices. This is a puzzle game with a touch of action in it. This game is about the bunnies that are abused and are living in the EVOL circus. 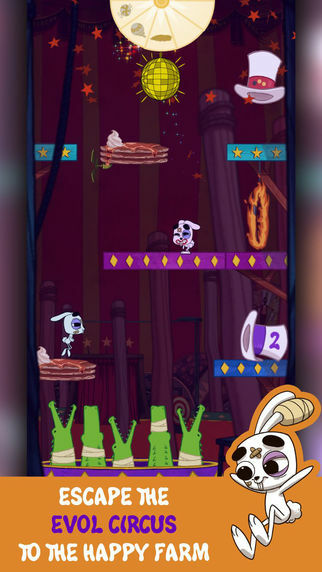 This is a two dimensional game where you are required to solve puzzles at each level and with the help of the game’s mechanics you are supposed to cheer the bunnies up as much as you can. You need to feel the happy meter up with good deeds, no need to lay down a good strategy for your moves, make sure to eat the pickups to get into disco dance or portals and use the interactive objects in order to guide the bunnies The main idea which went into designing this game was to throw light into the conditions of animals who lead an abused life in establishments like circus. Alternate Endings: This game has been designed in such a way that it has 3 alternate endings. Every time you play this game, it will end in the way you have approached the game. With three alternate endings, this game is one of the most interesting and challenging Android/ iOS games. Mini Games: In the process of playing the game, you will be unlocking other mini games as well. You keep on doing so as you cross different levels. Magic Walls: Creating magic walls is one of the features of this game. Save Animals: The main idea of this game is to cheer up abused animals. You can make yourself feel like a hero by saving caged animals. Replay: With the help of the Everyplay plug-in, you get an opportunity to share the replay of this game with your friends which makes it even more exciting and fun. This allows you to share your achievements with your friends and you also get to see theirs. Easy: This is an easy game to play. As per reviews and feedbacks received, there aren’t any cons which can be associated with this game. 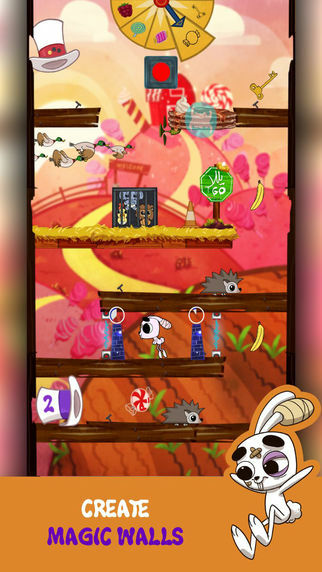 Hop Hop Away has already become a very popular iPhone game. It has lots of excellent features which makes it special and new updates are to be launched soon. 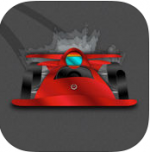 KART DRIFT- GO-KART ON YOUR FINGERTIPS!